We firmly believe that everyone on the entire planet has the right and ability to successfully and comfortably present in front of every audience in their careers. Public speaking is a learned process. What is a learned process? Good examples are having the ability to ride a bicycle or drive a car. The first time you mount a bicycle and attempt to pedal, you will wobble. The moment you turn the key on the first day behind the wheel of a car, you will feel fear. However, with the right coaching and system for success, those wobbles inevitably turn to big wins. Eventually, you achieve a comfortable competence you can depend on. If you are an accomplished cyclist or driver I'm willing to bet you never worry about your abilities like you did the first day. Public speaking is no different, but there are two big issues we have to deal with... Presentation skills are becoming essential in career life. Virtually everyone in college, employment, seeking employment or running a business will be required to present at least once. Secondly, public speaking is a major fear for most people. This is because public speaking is not officially taught in our schools and colleges (though some schools and colleges are beginning to include small presentation skills modules on their curriculum - we applaud that). In summary we have an essential skill-set needed to drive the economy and we have a massive knowledge-deficit resulting in fear and lack of skill. At Speechcamp we know that poor presentation skills costs individuals and companies untold (and likely unaware of) losses to their goals. At Speechcamp we know that everyone can, and deserves to, speak to the best of their abilities and achieve any goal they desire. 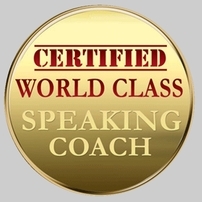 At Speechcamp we know that we can help to transform the planet with our CORE Speaking System, so that everyone can learn to speak clearly, confidently and charismatically in their careers... and achieve anything they want. We do not want you to suffer this skill deficit any longer!